Welcome to CI’s GovConnect Resources and Articles page. This page will be updated regularly with whitepapers, journals, news and opinions developed by leaders in government IM/IT that CI has created relationships with. Our goal in providing the information below is to provide you with original content and insights that will help you deliver value to your organization. If you would like to contact us to offer feedback or ideas, please send an email to [email protected]. Leaders from across various government levels and departments united in Toronto last May to share what the Ontario government emphasized as key discussions in their sectors. 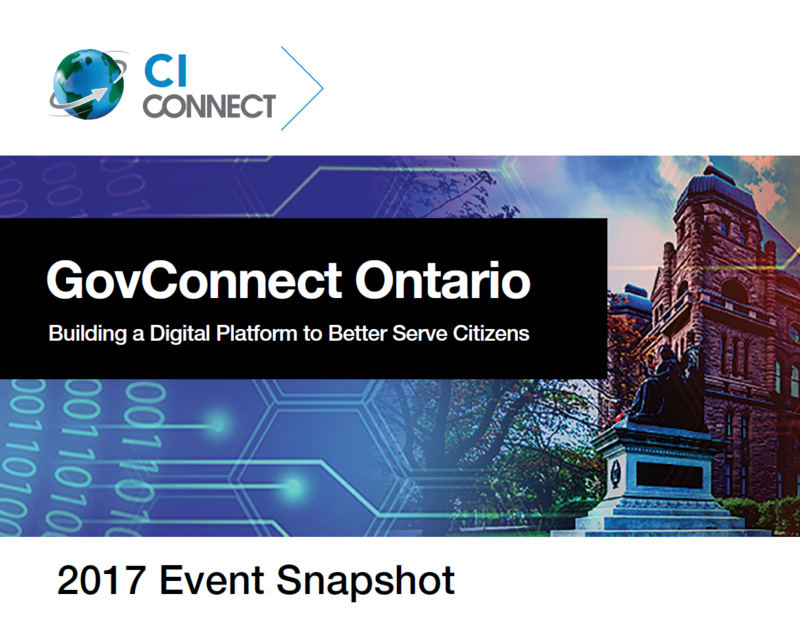 Download the completed post-event report for a summary of the notes from GovConnect Ontario 2018..
To modernize their IT services, federal CIOs are moving away from email and spreadsheets to manage their business. They are consolidating disparate and legacy systems onto a common platform, automating manual tasks and standardizing work processes. 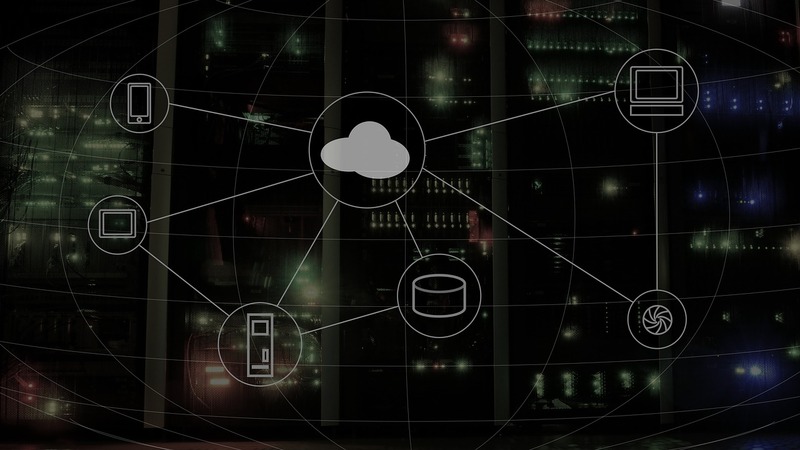 Read how the right solution for IT service delivery can help to deliver a variety of benefits including extended visibility into the organization, increased efficiency, improved experience for the end user, and most importantly, how these changes elevate the role of IT within the organization. In the era of Uber customer-centricity, private sector has been actively innovating & altering business models to benefit the consumer, while public sectors have remained more risk-averse. In an attempt to bridge the gap and deliver on rising citizen expectations, governments are now moving from analog operating models to digital systems. This shift is changing how governments interact with technology and transforming the internal processes that must be setup to support these changes. 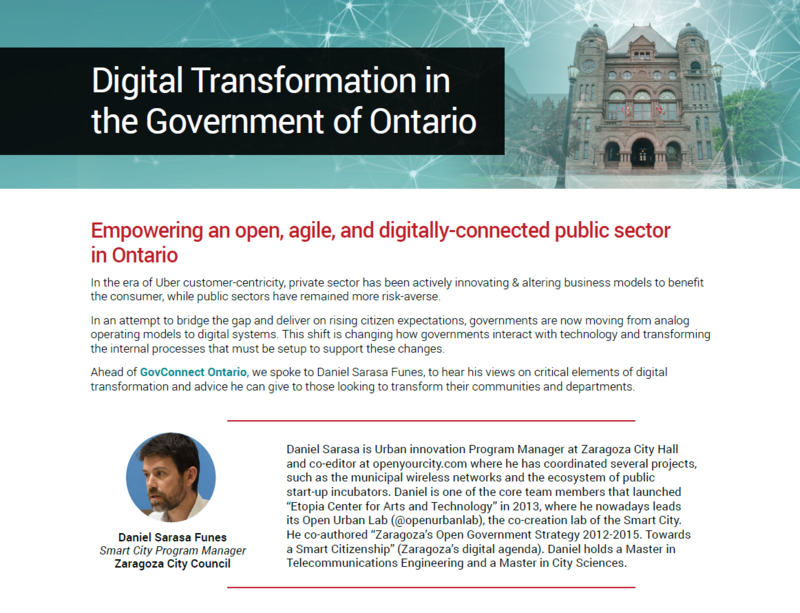 Ahead of GovConnect Ontario, we spoke to Daniel Sarasa Funes, to hear his views on critical elements of digital transformation and advice he can give to those looking to transform their communities and departments. 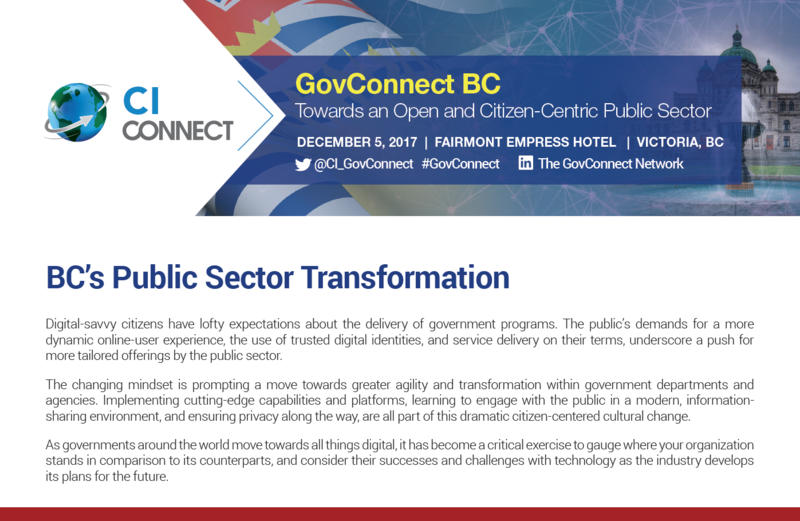 GovConnect BC is part of the GovConnect series and offers a unique, invitation-only format for heads of IM/IT and policy to enable direct collaboration with peers involved in public sector transformation from across BC. Participants discussed and worked through challenges relating to the adoption and implementation of new tools, technologies, and approaches to being more citizen-centric. These conversations also included strategies around change management, leadership, and team governance. Download the report to see what was discussed. WHAT OPPORTUNITIES AND CHALLENGES DO THE ALBERTA GOVERNMENT SEE AS MOST PRESSING? 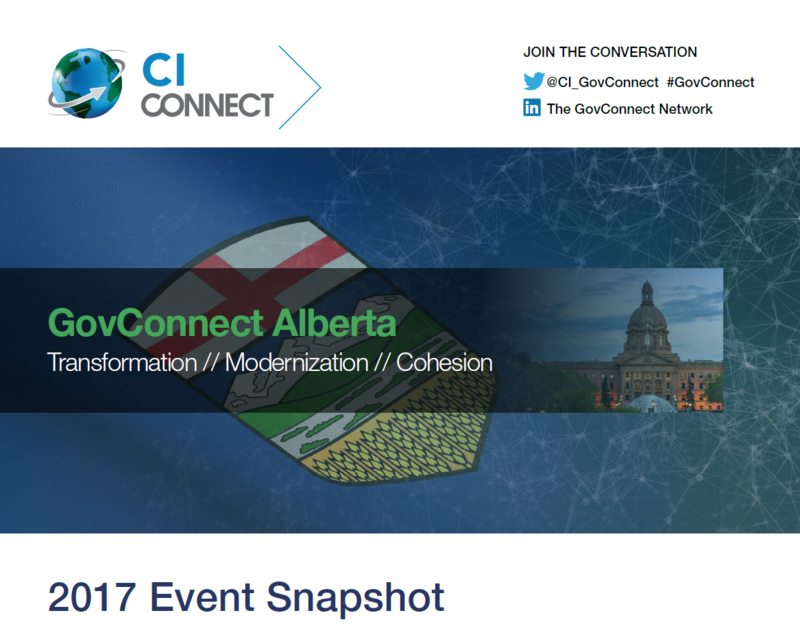 With the implementation of the 5-Year Information Management and Technology Strategic Plan (2016-2021) underway at the time, embracing change through creative and innovative ways of delivering services and programs was top of mind at GovConnect Alberta in 2017. The day offered the opportunity for heads of government IM/IT and public sector transformation to enable direct collaboration with peers, to ensure specific questions were answered. Explore some of the common themes and pain points which emerged from our senior delegation, who attended and see the event snapshot. 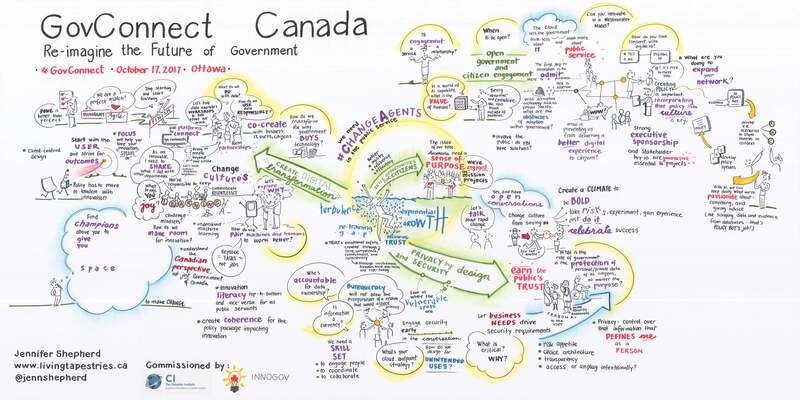 GovConnect Canada and InnoGov commissioned Jenn Shepherd to create a visual synopsis of the key themes of GovConnect Canada on October 17, 2017. Our delegates and moderators were actively involved in giving her their vital and significant ideas coming out of their discussions, so download the visual representation and ideas of the day to see what was discussed, or as a reminder from the day! 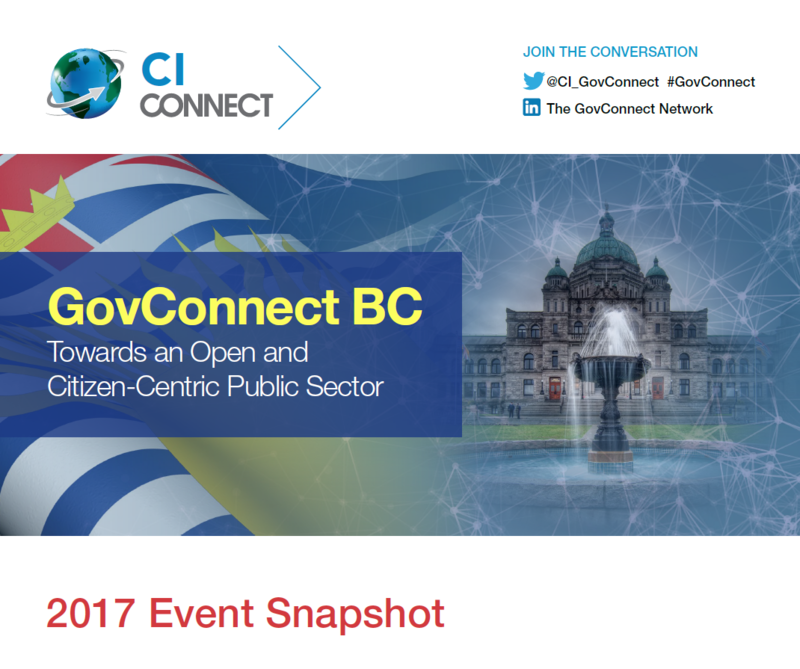 THE STATE OF PUBLIC SECTOR TRANSFORMATION IN B.C. GovConnect BC 2016 brought together key transformation stakeholders to discuss major challenges they were experiencing in order to share ideas that will drive the government forward. Read what our senior delegation discussed in relation to engaging the digital citizen, acting on big data, and going mobile. 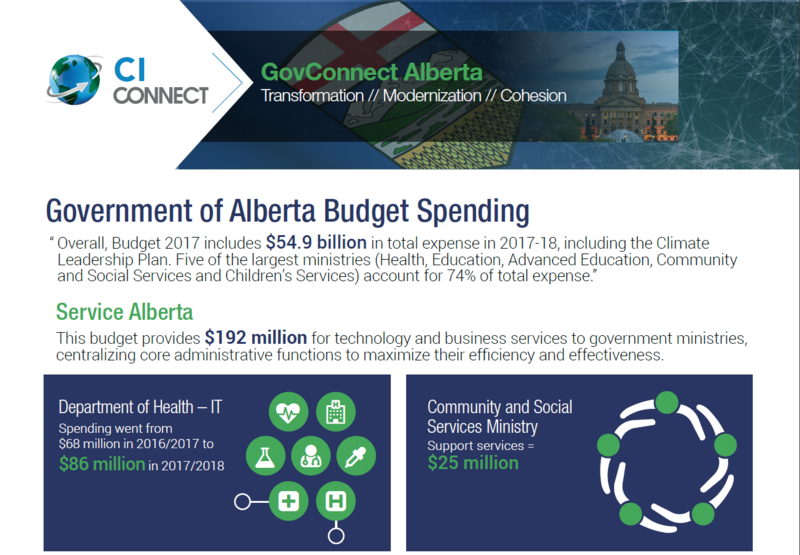 This budget provides $192 million for technology and business services to government ministries, centralizing core administrative functions to maximize their efficiency and effectiveness. Download to see the breakdown of spending for the region. 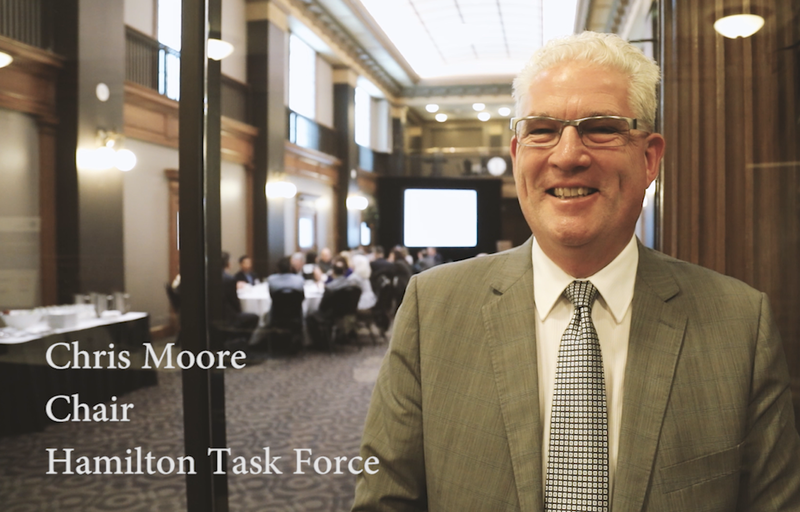 WHAT DO SENIOR FEDERAL GOVERNMENT EMPLOYEES HAVE TO SAY ABOUT THE GCIT STRATEGIC PLAN? 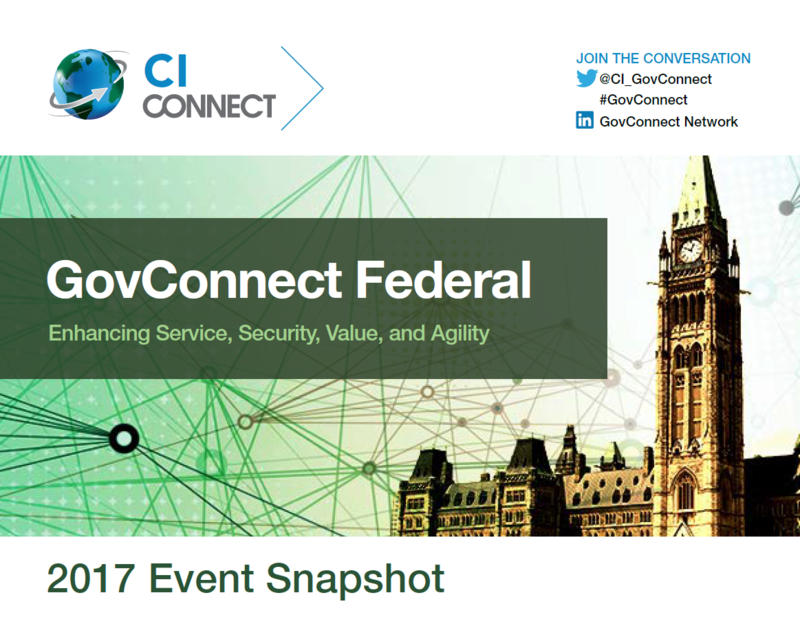 With the GCIT Strategic Plan well underway at the time, GovConnect Federal offered the opportunity for participants to engage directly with key influencers involved in enterprise-wide initiatives, including those from Treasury Board of Canada Secretariat, Shared Services Canada, Privy Council Office, and Public Services & Procurement Canada. Read what our senior delegation discussed, who attended and see the event snapshot. WHAT OPPORTUNITIES AND CHALLENGES DO THE ONTARIO GOVERNMENT SEE AS MOST PRESSING? GovConnect Ontario is the annual event to engage with key technology and policy stakeholders involved in Ontario’s public sector transformation. There is no better opportunity to cultivate best practices and draft innovative road maps to achieve your future digital government aspirations. WHY IS PUBLIC SECTOR TRANSFORMATION SO IMPORTANT AND WHAT WILL ONTARIO’S OPEN GOVERNMENT LOOK LIKE? We asked the Hon. 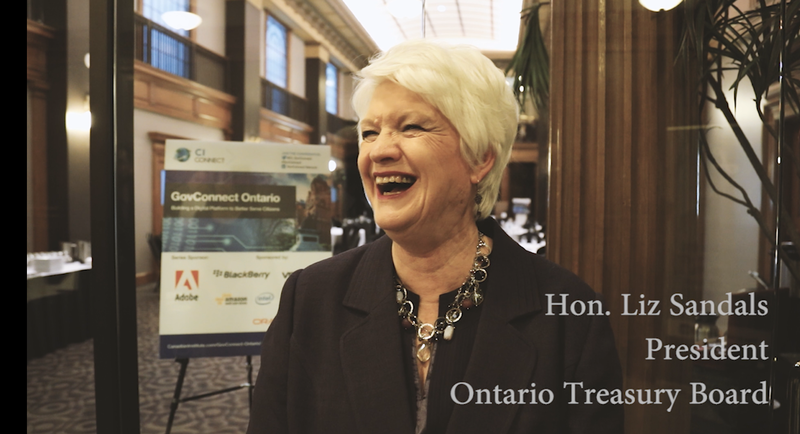 Liz Sandals, President of the Ontario Treasury Board, why she believes it is so vital for ongoing public sector transformation in government and what she imagines Ontario’s open government will look like in the future. Hear her thoughts by watching the interview. See what he shared at GovConnect Ontario 2017. WHAT DO YOU LEAVE A GOVCONNECT EVENT WITH? GovConnect events bring together senior government leaders to discuss their pain points and share ideas on how to overcome the challenges presented in the public sector transformation process. 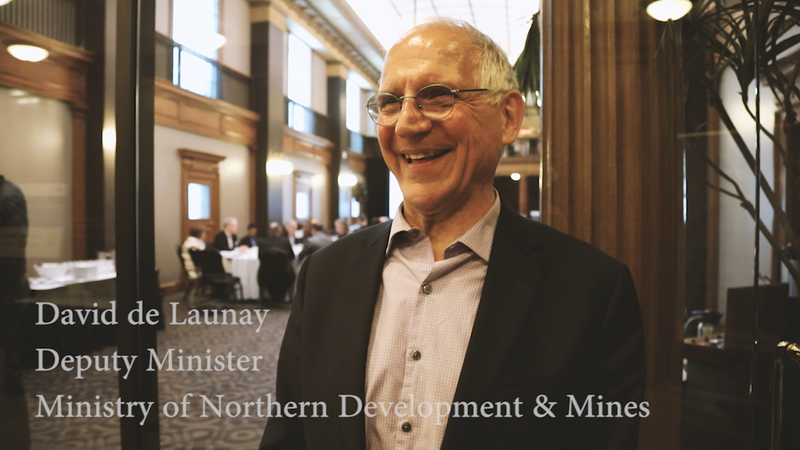 We asked David de Launay, Deputy Minister of the Ministry of Northern Development & Mines, what they one key takeaway he left GovConnect Ontario 2017 with. 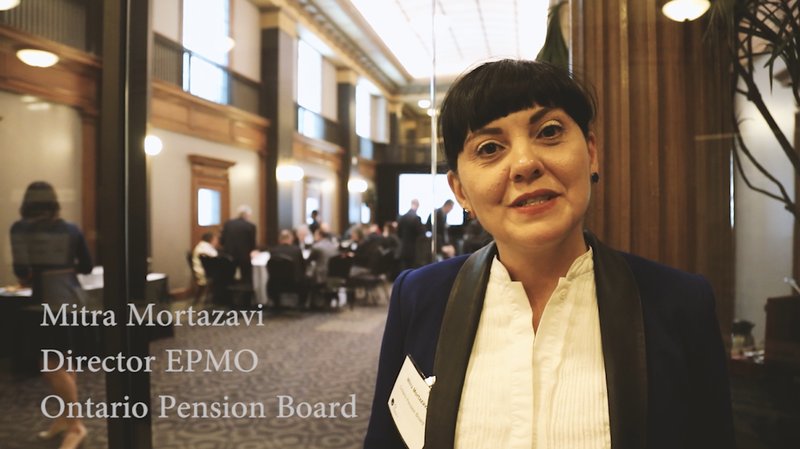 We asked Mitra Mortazavi, Director EPMO at the Ontario Pension Board, why a GovConnect event is important to attend for a senior leadership role and for the government as as whole. Ottawa unveiled a long-awaited ‘Right Cloud’ plan last summer allowing federal CIOs to tap a variety of cloud- and non-cloud deployment models depending on the business context – a critical move which signals just the beginning of the federal government’s transition to innovative IT service delivery. 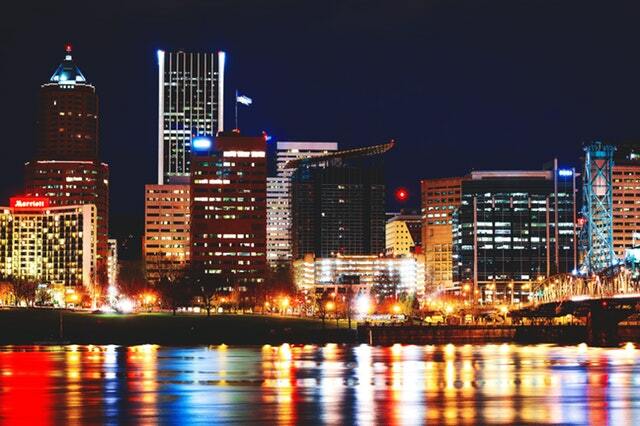 The Canadian Institute is spotlighting the career and current mandate of Alex Z. Pettit, Chief Information Officer (CIO) for the State of Oregon, and has been an international participant of our speaker faculty. 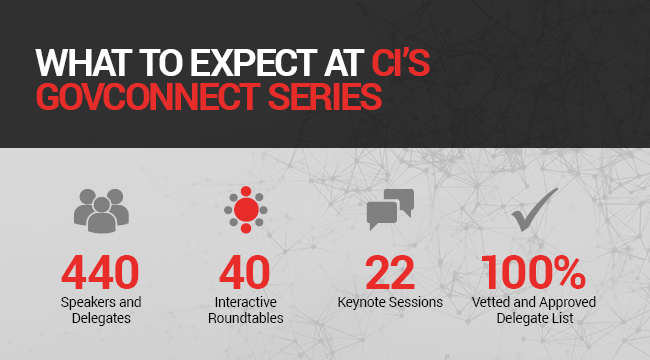 GovConnect events are where Canada’s top leaders and influencers in the public sector come to discuss challenges in the face of transformation. We facilitate a number of intimate events across Canada, and host the yearly GovConnect Canada Summit. Due to the constantly evolving landscape, we have changed the way government and vendors interact and work together, to ensure that each conversation is targeted, valuable, and productive. Our unique interactive roundtable discussion format ensures that you have the opportunity to meet every attendee in your stream of the day; not just during networking breaks! The events are also ‘by application only’, to maintain a high quality delegation of the most senior government officials and key decision makers. WHAT DO SPONSORS THINK ABOUT GOVCONNECT EVENTS? Interested to hear what a series sponsor thinks? Watch this short video on how we help sponsors meet their business objectives.